A few days ago, this comic appeared in my Google Reader: http://spikedmath.com/339.html. OK, this is not too difficult when you know who Kenny Baker is (and who doesn’t?!). Click that previous link before you read further. 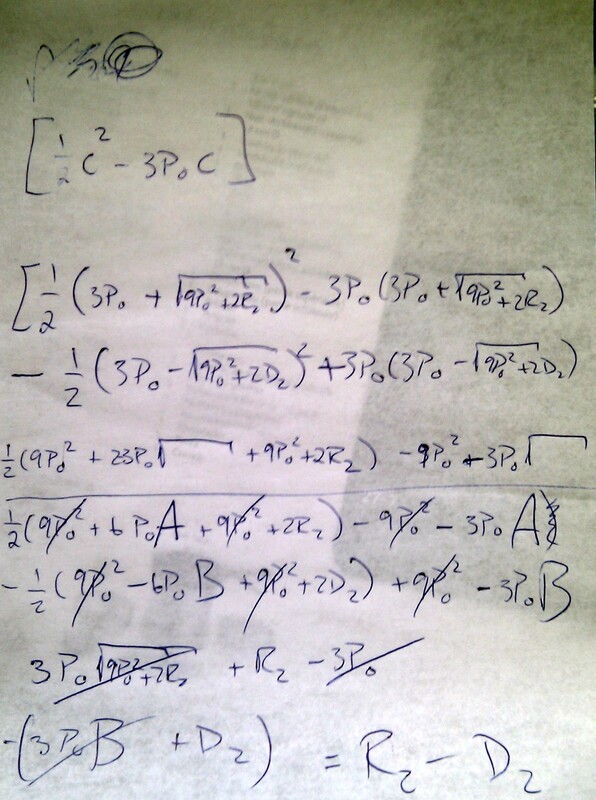 I then did the calculations by hand, as seen in the first picture (yes, it looks horrible, just like mathematical work should). I figured I should check my answer, and brought out my TI-89. Not a tool I use too often, as wxMaxima and GeoGebra fulfill all my needs, but it was “nice” to see it again. Punching in the exercise I got the correct answer there too, shown in the calculator shot. 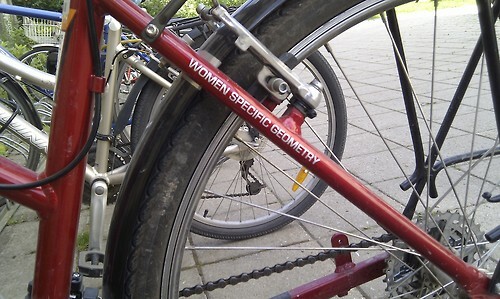 Now, first of all, nice going on making this exercise Spiked math! Finding proper integration limits so that integrating C-3P0 turns into R2-D2 is not trivial. Second, it struck me how different even straight forward exercises like these are when using two different means of solving. One can argue using a calculator is less work for the brain, but I can’t recall one instance in the handwritten version, where I actually had to stop to think. It was all memorized rules of calculus and algebra, rote work. 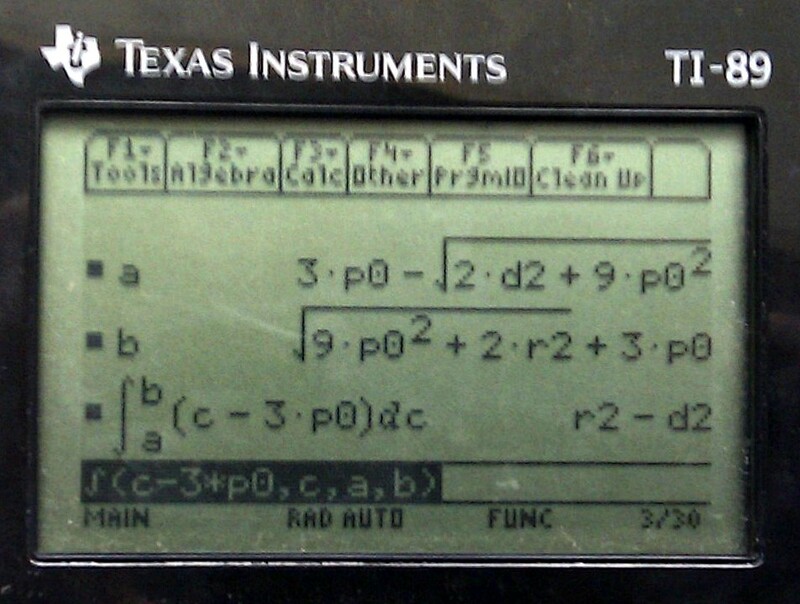 Using a CAS like the TI-89 (now replaced by the TI Titanium, and later the TI n-spire), there was still not much work for the brain involved. The only parts where you (or rather, I) would stop to think was wether the syntax of the input line was “expression, variable, lower limit, upper limit” or “expresseion, lower limit, upper limit, variable”. Logically enough, you should tell someone (anyone!) what dummy variable is involved in the calculations before applying the limits of integration. Either way, solving the problem felt good because it was Star Wars related. The one who learned anything at all from this, was the one who devised the problem in the first place. And perhaps Kenny Baker got a giggle out of it, too.